Does Apple Have a Major Apple Watch Sapphire Problem? The Apple Watch isn't scheduled to launch until next year, but will Apple face major production problems even before it gets the device out the door? If you've been following the news lately, you might have noticed that Apple's sapphire supplier GT Advanced Technology recently filed for Chapter 11 bankruptcy. We don't really know what happened – how GT Advanced Technology ran out of money, or exactly what sort of agreement it had with Apple, because the Court has allowed it to keep that information under wraps. The Wall Street Journal said it learned recently, however, that GT Advanced Technology has requested to wind down production of sapphire, which was otherwise being produced for the displays on the Apple Watch. Apple wants all of the information kept quiet. The Wall Street Journal said that GT Advanced Technology is "prohibited… from even discussing the confidentiality arrangements," with Apple, and that doing so could cost GT an additional $50 million. It's all very bizarre, as Apple came in to provide more than $500 million in financing so that GT Advanced Technology could manufacture sapphire but, then seemingly months later, GT Advanced Technology files for bankruptcy, suggesting it has run out of cash. Did Apple do proper due diligence? One would think Apple would have examined GT's financials before asking it to make parts for such an important product. 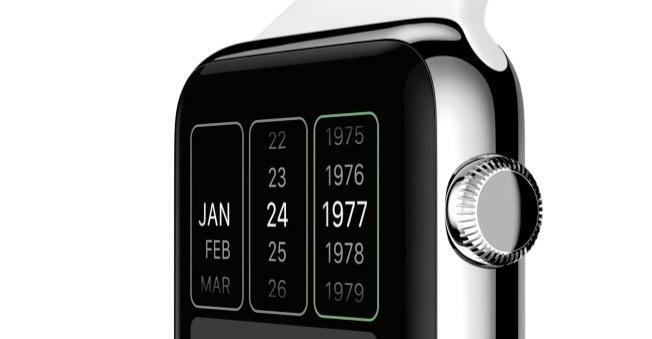 What does this mean for the Apple Watch? Since the information is sealed down we don't know how much sapphire GT Advanced Technology has already produced or how drastically it will affect production of Apple's highly anticipated wearable. Apple promised the watch in early 2015 but this may force it to bump that date back while it tries to find other sapphire production facilities. GT Advanced Technology will head to court on Oct. 15 where a judge will decide whether or not it can wind down production of the sapphire it's producing. Also, keep in mind that Chapter 11 bankruptcy doesn't necessarily mean a company is falling off of the face of the earth, but rather that it needs to restructure its business. Hopefully we start to learn more about this situation and how it happened soon.